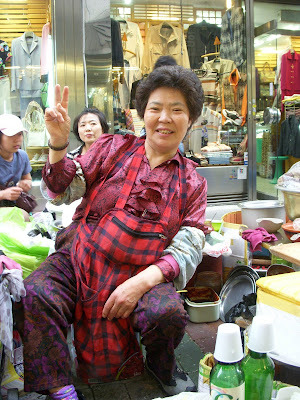 I spent the long w'end in Busan, which is a 5 hour bus ride from Seoul. 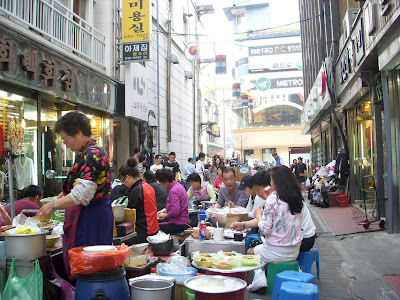 Arrived on Saturday and walked around for a while... we found this alleyway where ajuma's (Korean ladies) try to lure you to their stall to eat. 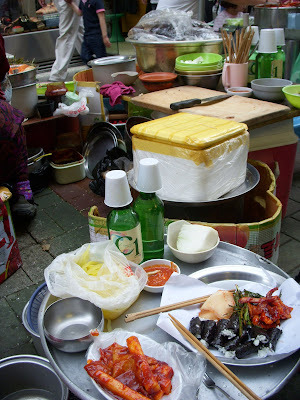 My friend and I decided to have lunch there... Korean street food is GOOD *^^* I had tokk-pokki (rice cake in hot sauce) and gim-bap (rice rolled in seaweed).